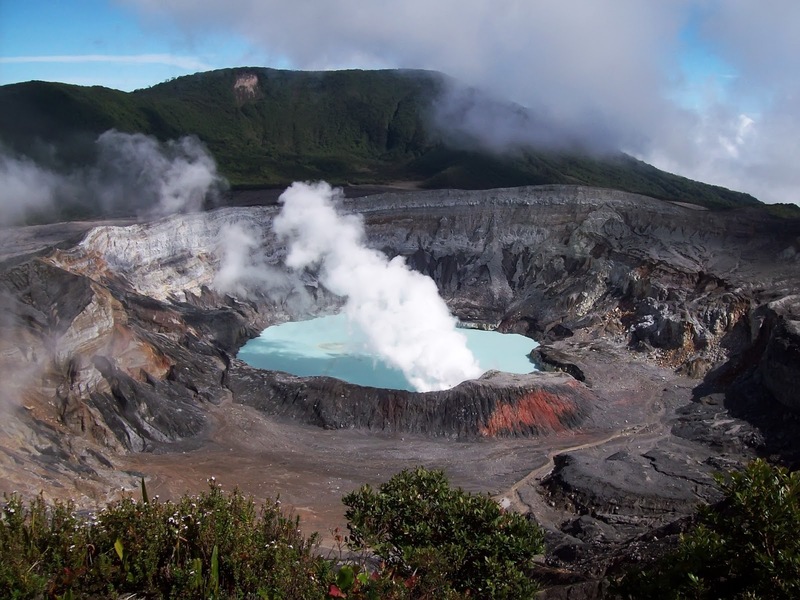 The National University's Volcanology and Seismology Research Institute (OVSICORI) reported an eruption that reached 1,000 meters above the crater, 3,708 meters above sea level (12.162,24 ft.), began at 8:50 a.m. local time this Tuesday and was still in progress at 10:05 a.m. This past Friday, June 2 the Poas Volcano registered constant activity with small size eruptions and redcolumns of gases and ash, on Saturday some activity continued but Sunday and Monday there were no new eruptions although there was an intense column of steam and gases emanating from the crater. The Poas Volcano has experienced several changes of its structure since the eruptions began back in April, with new cones forming, the dome almost completely destroyed, and the water of the lake drying fast, new small fumaroles have also appeared and incandescent materials can be seen in certain areas at night time. As of now there have not been reports of ash fall in the nearby communities; however the wind direction is to the west which means it could reach the community of Bajos del Toro. Dr. Maarten de Moor from OVSICORI is in the area and was able to capture the image included with this article.